Cape Town - The Confederation of African Football (CAF) recently held an Executive Committee meeting and agreed to move match dates for the 2019 Africa Cup of Nations qualifiers. This came as a result of a request from the five countries that will represent the continent at the Russia 2018 Soccer World Cup tournament in June. "At the request of the qualified teams - Egypt, Morocco, Nigeria, Senegal and Tunisia - the CAF Executive Committee approved the postponement of the second day matches of the Total AFCON 2019 qualifiers scheduled for March 2019, to allow the African representatives for Russia to take advantage of this FIFA period to prepare for the World Cup,” said CAF in a statement. With one round of qualifiers already played for AFCON 2019, the next round of fixtures will be played during the week of 3-11 September, 2018 - the initial date of March 2018 will now be used for friendly matches. The final round will be staged in March 2019. Bafana Bafana have already played and defeated Nigeria 2-0 in the opening match of the qualifiers held in Uyo, Nigeria. 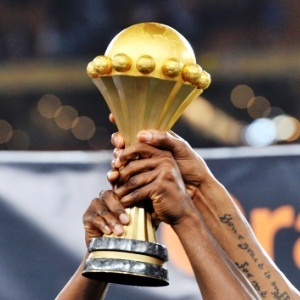 The 2019 Africa Cup of Nations, the 32nd edition of the the tournament, will be hosted by Cameroon. The competition will be held in June and July 2019 following the decision of the confederation to move the tournament from January/February to June/July for the first time.